West’s forked tongue comments prove the consequences of ignorance and the damaging effects of flippant historical revisionism. Clearly, Kanye West doesn’t know his history. Because anyone who does believe that slavery was a choice, despite overwhelming historical evidence to the contrary, has either never opened a history book or is willfully ignorant of the reality of enslavement. Whatever his beliefs, West’s erratic and seemingly anti-black behavior these past few days has been revealing. And not just about him, but about us as a black people as well. Most importantly, however, West’s actions prove the consequences of ignorance and the damaging effects of flippant historical revisionism. Slavery was not a choice. Let's be clear on this. It was the most dehumanizing and destructive institution ever to befall the African continent and her people. A people who were chained in the hull of cramped and cold slave ships, and cruelly transported across the Atlantic for literally hundreds of years. A people who despite the evil done to them built a new nation, almost entirely on their own backs. A people who despite being uncompensated for their labor, and deemed less than human by the U.S. Constitution, somehow managed to survive and thrive. But West's obtuse commentary aside, the backlash to West does not, as the artist has argued, prove that black Americans are all guilty of a groupthink mentality — at least not in this context. Black Americans do not abhor Trump because he is a Republican. I am a lifelong Republican and I do not support trump. Rather, black Americans including myself abhor Trump for what he represents: soft bigotry, a tacit support of white supremacy and intolerance of a wide variety of ethnic groups. There is a distinction to be made here about freedom of thought and diversity of thought. 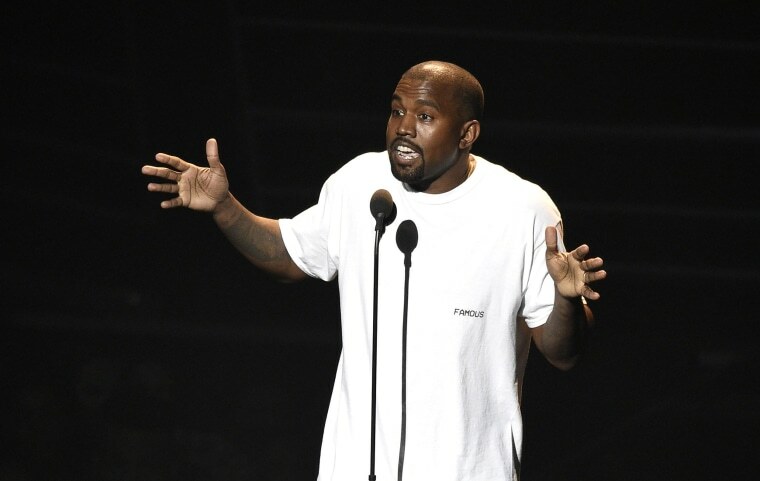 Obviously, Kanye West is a free American man. He has every right to like Trump. Support Trump. Hang out with Trump. Tweet about Trump. Again, the president is not my cup of tea, but we know that 15% of black men voted for him in 2016. And there is also some truth to West’s point about voting: We have to stop attacking other black people who may have different (i.e. not liberal) political or social views. Only about three percent of black registered voters currently consider themselves Republicans, but 27 percent now identify as independent, a substantial number. Black Americans are not monolithic, and neither are their voting habits. I voted for President Barack Obama and President Bill Clinton — the first Democrats I ever voted for. Don't treat us as a binary group. But this argument cuts both ways. West seems to be implying that only people who think like him are truly free thinking. This condescends to liberals in precisely the same way conservatives say liberals condescend to them. Either way, black Americans and white Americans remain linked to one another still through our respective ancestors. When West, a successful black man with a massive platform, implied that slavery is a choice, he played right into the hands of white supremacists who have been celebrating him on social media for days. His argument absolves people like Trump, Steve Bannon, Alex Jones and David Duke of responsibility, and makes it that much easier for them to forgive and forget the sins of their own forefathers without reckoning with the ongoing socioeconomic impact of those sins. It also provides further ammunition to those bigots who say all we do is whine, complain and make noise about our history of inequality in America without working to improve ourselves. In the final analysis, I believe that West, much like Trump, is doing what he does best: stirring up controversy. But this isn’t some celebrity feud; this rancor cuts deep. Trump is a master at sowing division, and West is doing the same thing now — with similarly negative effects. To be clear, we as black people need to have a come to Jesus meeting about the importance of political diversity. West misinterpreting history and equating Democratic voters with metaphorical slaves, however, is not the way to start that conversation.